Whatever the final recommendations of the Tax Working Group are, Inland Revenue will be a key player in implementing and managing the changes to the tax system. But is it up to the task? Undertaken by Wellington based research firm Litmus , the research targeted groups identified by Inland Revenue as having an important role in its billion-dollar Business Transformation process. The stakeholders surveyed included central and local government agencies, business representative groups, large enterprises, vendors and suppliers and tax agents/intermediaries. Litmus surveyed 229 organisations and received 118 responses. Just seven of the mere 10 tax agents surveyed responded. Given there are 5,600 tax agents with over 2.7 million clients , tax agents represent a substantially under-represented demographic in the final survey’s results. It might be tempting for Inland Revenue to argue the small sample size means the Litmus survey was not representative of tax agents. However, its customer satisfaction surveys  show that those tax agents surveyed who were “very satisfied” with Inland Revenue declined from 77% in 2015-16 to 66% in 2017-18. This was the largest drop amongst any of the surveyed groups. An explanation for the dissatisfaction of tax agents can be found in Inland Revenue’s 2017-18 annual report . Inland Revenue  eventually resolved the problems encountered in Release 2, but it faces a much bigger test with Release 3 next April which will affect over a million taxpayers. Its annual report has some fascinating details about how Inland Revenue is progressing with its Business Transformation programme. Its use of contractors and temporary staff has almost tripled in the past three years: increasing from $45.3 million in the June 2015 year to $124.1 million in the June 2018 year. Spending on contractors and temporary staff represented 22.8% of all Inland Revenue’s $545 million personnel costs for the June 2018 year. After four years of declining recruitment Inland Revenue made 604 new hires in 2017-18. However, during the year 938 staff left which is why Inland Revenue paid out over $21 million in termination benefits, a more than twenty-fold increase from the $919,000 paid during the 2016-17 year. The staff losses meant its staff turnover for 2017-18 was 15.4% overall, not exactly an encouraging sign of a healthy workplace. Curiously though, the average length of service of staff rose to 13.6 years. (Incidentally, the department paid $339,000 in bonuses during the year although it’s not clear to whom). All this points to an organisation in a state of flux with an unsettled workforce, hence the recent strikes. 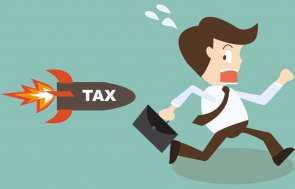 It’s one reason why I and many other tax agents are dissatisfied with Inland Revenue’s current performance and view the approaching Release 3 next year with some concern. Apart from collecting $73 billion of revenue during the year, Inland Revenue also did its bit for the government’s books by returning a surplus of more than $59 million to the Crown. This seems to be part of a deliberate policy – over the five years to 30 June 2018 the department recorded surpluses totalling more than $192 million. The financial statements included in the report have some other interesting revelations: child support collections exceeded payments to caring parents by $181 million. Again, this is a long-standing policy: the corresponding amount for June 2017 was $184 million. Child support late payment penalties, which at 36% per annum in the first year are more than those payable for late payment of tax, effectively represent a backdoor tax on liable parents. A serious review of child support debt is long overdue: despite writing off $594 million of debt during the year, the total child support debt at 30 June was $2,259 million. This is Inland Revenue’s largest single debtor type. By comparison the total of GST, PAYE and income tax outstanding at 30 June was $2,841 million. The $1,662 million of child support penalties owed is more than the $1,651 income tax outstanding, an absurd position. Inland Revenue also collected $49.796 million of “other revenue” during the year. Unexplained in Inland Revenue’s annual report, it transpires that this is the total of penalties imposed in relation to late repayment of overpayments of working for families’ credits. I found the answer in note 3 to the government’s financial statements  for June 2018, which includes $231 million of “Child support and working for families penalties” in its Sovereign Revenue for the year. To put that total in context, it’s almost double the $118 million of court fines included as revenue in the government’s financial statements. Penalties on top of repaying overpaid working for families credits seems a harsh outcome for what is most likely to be the result of an error. The annual report also details the vast amount of data sharing going on between Inland Revenue and other government agencies. During the year the department received 520,561 “contact records” from the Department of Internal Affairs. The Ministry of Social Development (MSD) provided details to Inland Revenue during the year relating to 94,378 child support cases. MSD also shared 7,041,500 student loan cases in what must have been a one-off information transfer. Inland Revenue in return shared details with MSD relating to 1,373,489 Community Service Card holders, 402,047 child support cases as well as proactive information sharing for 743,346 benefits and student cases. Quite apart from data sharing with other government agencies, during the year Inland Revenue sent details of 128,930 persons to the Australian Tax Office as part of its Student Loan collection programme. This resulted in matches being found for 85,147 persons who will soon find they have not escaped their student loan repayment obligations. The extent of data sharing currently going on between Inland Revenue and other agencies here and around the world is enormous yet goes largely unnoticed. It invariably comes as an unpleasant surprise to anyone caught up by the data exchanges. A data leak would surely represent one of the biggest risks for the department, but it’s not clear from the annual report whether the independent Risk and Assurance Committee has specifically considered the issue. The other document released, Statement of Intent 2018-2022  (the SOI) is rather like a glossy corporate brochure packed full of buzz-words and corporate-speak. The SOI never uses the word “taxpayer/taxpayers”, instead “customer/customers” appears 141 times in the 24-page document. This aversion to using the word “taxpayer” is also apparent in Inland Revenue’s Annual Report: it appears a mere 41 times in 224-pages compared with 708 mentions of “customer/customers” – more than 17 times more frequently. The use of “customer” is well meant, but in my view is ultimately disingenuous. It implies a voluntary relationship which simply does not apply to an organisation extracting money with the full power and backing of the state. As anyone involved in a dispute with Inland Revenue will attest, its view is not “the customer is always right,” but “the taxpayer is guilty until proven innocent.” The alternatives to Inland Revenue are not a “competitor” tax agency, but either outright non-compliance or emigration. Inland Revenue would do better to more honestly recognise that for most people it is the “Bad Guy” and use its new “customer-centric” approach to ameliorate that reality. Currently Inland Revenue will need to work hard to maintain trust in it, particularly amongst tax agents. The next stage of the Business Transformation programme (Release 3) in April 2019 is therefore both a threat to that trust yet also an excellent opportunity to reinforce the public’s trust in it. Inland Revenue is at present outwardly confident that Release 3 will succeed. We’ll have the first verdicts on whether that confidence was justified in under six months’ time. Watch this space. *Terry Baucher is a tax consultant and director of Baucher Consulting Limited  a specialist tax consultancy. He is the co-author with Deborah Russell MP of Tax and Fairness published in 2017 by Bridget Williams Books.